Valentines Days Gift Ideas: Sterling Silver 925 "I Love You" Heart Shaped Superlight Pendant Necklace with Chain - Perfect for Valentine's Day Gift! 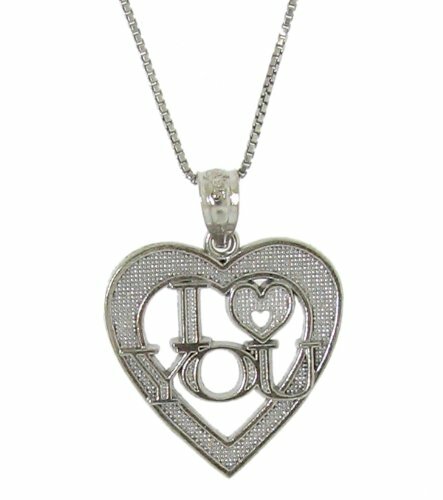 Sterling Silver 925 "I Love You" Heart Shaped Superlight Pendant Necklace with Chain - Perfect for Valentine's Day Gift! Very well made and attractive Sterling Silver 925 "I Love You" Heart Pendant Necklace with Chain - Perfect for Valentine's Day Gift! Simple yet Elegant Pendant makes the perfect gift!